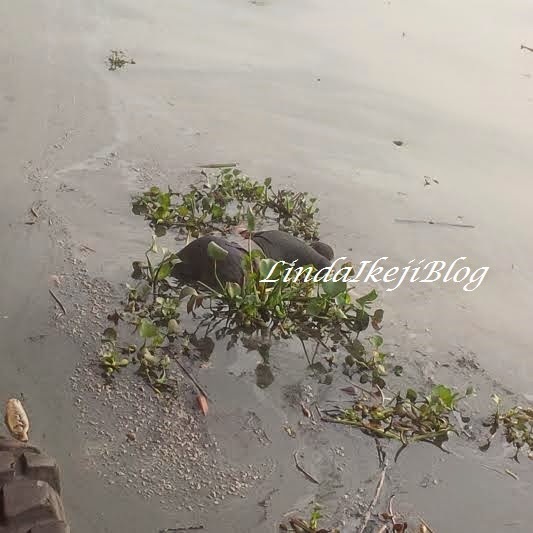 It was a sad end for a Navy officer whose body was found floating in the Warri NPA River in Delta State, according to a report by Linda Ikeji blog. The corpse which was in a state of decomposition, according to witnesses, was washed ashore some days after the man must have drawn as the skin was already peeling and bloated. Eyewitnesses say the remains of the man had on an inner black vest of the Nigerian Navy, blue trousers, belt and heavy boots. The Warri Naval Command was notified of the strange finding and the authority has begun investigations to determine if any of its personnel had been declared missing as well as trying to identify him. See photo of the floating corpse here.